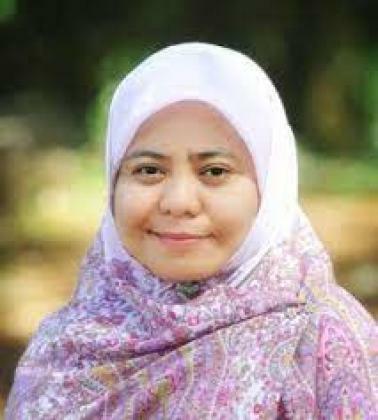 Rosmawijah Jawawi is a teacher educator at the Sultan Hassanal Bolkiah Institute of Education (SHBIE). She has worked at SHBIE since 1998 and her defining role is in the teaching and learning of student teachers in economics education. She is also a teacher educator in the teaching and learning of student teachers in MIB (Malay Islamic Monarchy) in secondary education and social studies in primary education. In 2009, with the implementation of Brunei new educational system SPN21, she and her colleagues had worked closely with the Ministry of Education to provide professional developmental training workshops for MIB and social studies primary school teachers, school leadership programme (SLP) for Brunei school leaders and school based assesment (SBAfL) workshop for MIB secondary teachers in Brunei Darussalam. Rosmawijah earned a Bachelor in Education degree with economics major at SHBIE and later pursued her career as a teacher at a secondary school in Brunei. She then joined Universiti Brunei Darussalam to become a teacher educator at SHBIE. After three years serving at SHBIE, she later pursued her master studies in Education at the Faculty of Education in Leeds. Later, she continued her postgraduate education studies at the Institue of Education (IoE), University of London where she successfully completed her PhD in economics education in 2009. MIM Caesar, R Jawawi, R Matzin, M Shahrill, JH Jaidin, L Mundia (2016).The Benefits of Adopting a Problem-Based Learning Approach on Students’ Learning Developments in Secondary Geography Lessons.International Education Studies 9 (2), 51. N Nawi, R Jawawi, R Matzin, JH Jaidin, M Shahrill, L Mundia (2015).To Flip or Not to Flip: The Challenges and Benefits of Using Flipped Classroom in Geography Lessons in Brunei Darussalam.Review of European Studies 7 (12), 133. R Matzin, R Jawawi, JH Jaidin, M Shahrill, MA Mahadi (2015).Brunei Lower Secondary Students’ Engagement in School and Beliefs about the Self under the Ongoing SPN21 Curriculum Reforms: Implications for Educational and Counseling Interventions.Journal of Sustainable Development 8 (6), 133. Keith Wood, Saratha Sithamparam, Rosmawijah Jawawi, Masitah Shahrill, Jainatul Halida Jaidin, J.S.H.Q. Perera, Sallimah M. Salleh (2015).Teacher Action Research to Develop 21st-Century Teaching Practices and Learning Outcomes in Brunei.Symposium presentation at the Annual Meeting of the American Education Research Association (AERA), “Toward Justice: Culture, Language, and Heritage in Education Research and Praxis", Chicago, Illinois, April 16-20 2015. Jainatul Halida Jaidin, Masitah Shahrill, Rosmawijah Jawawi (2015).Institut Pendidikan Sultan Hassanal Bolkiah (IPSHB): ‘Nurturing our Legacy’ Memupuk Warisan Kitani. In Tengah, B. & Mokhtar, N.R. (Eds. ), Tradisi dan Reformasi Pendidikan – Merista Jasa Sultan Omar’ Ali Saifuddien Sa’adul Khairi Waddien sempena 100 Years (1914-2014) Formal Education, Brunei Darussalam. Memupuk Warisan Kitani. In Tengah, B. & Mokhtar, N.R. (Eds. ), Tradisi dan Reformasi Pendidikan – Merista Jasa Sultan Omar’ Ali Saifuddien Sa’adul Khairi Waddien sempena 100 Years (1914-2014) Formal Education, Brunei Darussalam. Virtual University of the Small States Countries (VUSSC), the Commonwealth of Learning (COL).